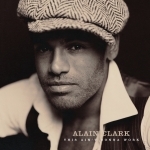 The song Alain Clark - This Ain't Gonna Work is professional recreation. It is not by the original artist. Blow Me Away Alain Clark Your browser does not support the audio tag. This Ain't Gonna Work Alain Clark Your browser does not support the audio tag.